We are continually humbled by and grateful for the support of the incredible people who help contribute to a thriving urban agriculture movement in St. Louis! Learn more about how you can get involved and subscribe to our volunteer mailing list to be the first to hear about opportunities. 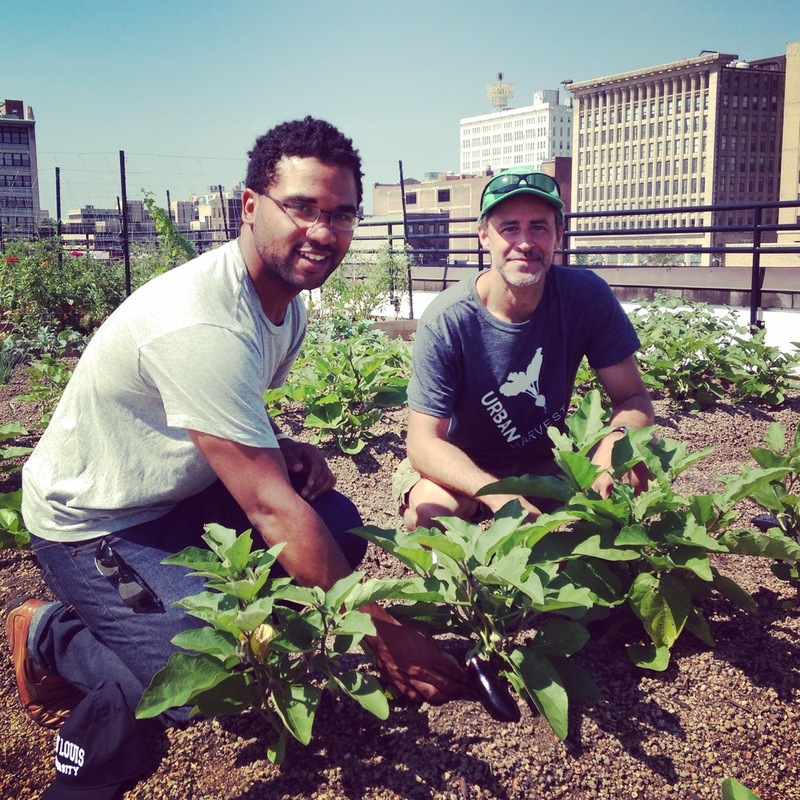 Come help out on the FOOD ROOF Farm any Saturday between 9a - 12p (May 11 - Oct 31) and experience where urban farmers, community members, and volunteers come together to grow food with a variety of urban agriculture methods! Just drop in and make your way to the rooftop by following the signs in the building. If you are interested in a more in-depth experience and ongoing volunteer position, then stop by every week! Dress for the weather, wear closed-toe shoes, and bring plenty of water. Cancellations due to inclement weather will be announced on Facebook. If you'd like to bring a group of five or more people to the farm to volunteer, please complete the form below. We host group volunteers Tuesday - Friday mornings from 9a-1p between April - October. Thank you for your interest in volunteering for Urban Harvest STL!